Today, we did Genius Hour at school. There were no children here. It was a teacher’s professional development day. Teachers did Genius Hour. He then went on to immediately explain that the Genius Hour we would do for PD would be defined like this: “Genius hour allows teachers to explore their own passions and encourages creativity in the classroom. 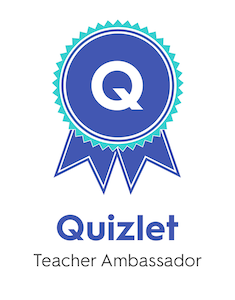 It provides teachers a choice in what they learn and develop during a set period of time during the professional development time.” It was about here that we all decided we like the name Genius Time better. Question – What do you want to learn? Explore – Learn about it! Master – Become better at it! Present – Help the rest of us learn! We will “turn in” our inquiry question at the beginning and the presentation at the end. We will plan, explore, and learn on our own. He will post all our learnings on our school web page to share with the world. Now, our school happens to have an atypical communication barrier. We are about half Arabic speakers and half English speakers. (And other languages too, which we don’t even take into consideration!) The Genius Hour overview was presented tag-team style in both English and Arabic. Throughout the day, we noticed not only was some of the introduction lost in translation, but also these ideas are huge when heard for the first time and need extra time to absorb. Because of those big ideas we were trying to explain, there were bound to be misunderstandings. Some people seemed to hear that Genius Hour was something for the children, and they ran with that forgetting about their own PD. As we answered questions, I began to think maybe we shouldn’t have called it Genius Hour or Genius Time, after all! However, later I realized I was wrong. It was an unexpected, but awesome misunderstanding. We had scores of teachers today talking about Genius Hour. We weren’t just talking about something wordy: “self-directed professional development time.” Many of the teachers were even talking about how they were going to make Genius Hour work in their classrooms. Wait a minute. I began to realize they thought they MUST do Genius Hour with their students in their classrooms. Imagine around 50 different PD programs going on in just the next nine Tuesday professional development hours! What are the chances of that happening? It can happen, but only if all the teachers own their own learning. How do you engage very young children to want to know English? And can I get them to practice by communicating their own knowledge to others? How can I teach flexibility and adaptability by providing students with many ways to solve math problems, starting with the abacus? How can I inspire students to be self-directed learners, going beyond the vocabulary in our lessons to searching out the multiple meanings? Can I build students’ collaboration and communication skills by learning about and teaching Accountable Talk for small group discussions? How can I help students to be responsible and discerning digital citizens; who can justify their use of technology for educational purposes? How can I present information in a way that is more engaging to the students, and promotes independent and analytical thinking? 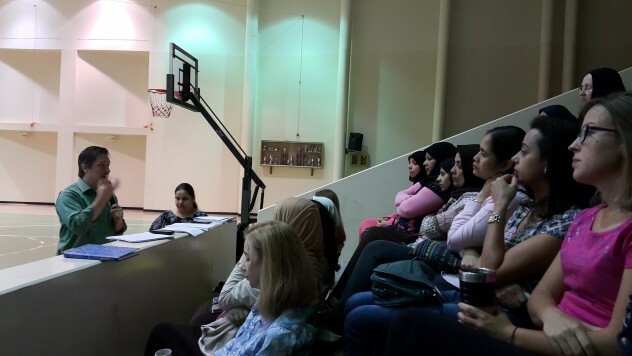 Al Raja School can have hope in a bright Genius Hour-y future for students and staff alike. I look forward to it! This sounds so great! 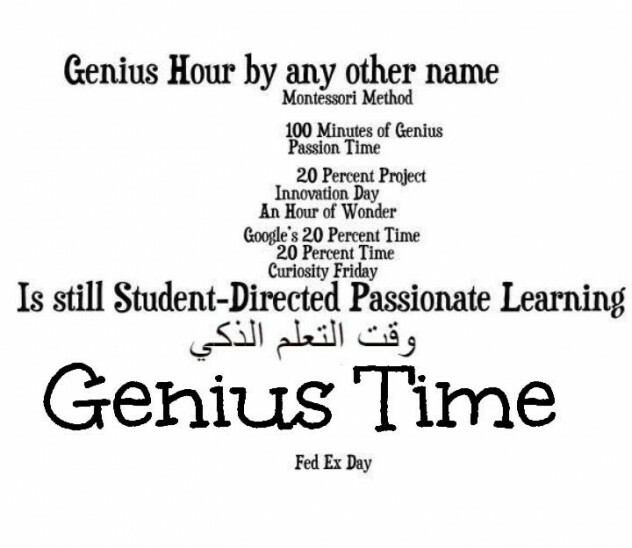 I am so happy that you have been able to bring Genius Hour to your school–for both the students and the staff! That is fantastic! 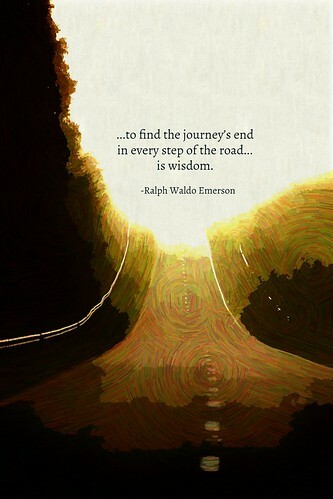 And they are so fortunate to have you there as a guide and source of encouragement. I hope more schools get inspired to do Genius Hour with their students and with the teachers too! Thank you for sharing. I look forward to hearing more about how it goes! Thanks, Gallit. I definitely want to record our journey. A few of us have read The Genius Hour Guidebook, and I will put a copy in the school library too, for others who want to read it. Now…to get it translated into Arabic!